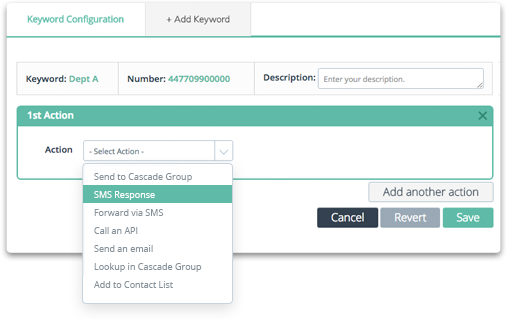 Cascade SMS allows you to provide a very flexible SMS service using keywords with either shortcode or long numbers and a range of actions to build an automated workflow for each inbound SMS received. 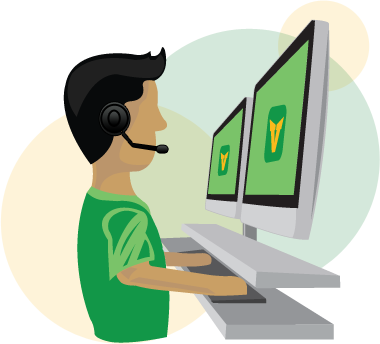 The configuration is completely controlled by you, providing your business with an extremely versatile tool to interact with your customers, team members, suppliers etc. Should you wish to make a change to the configuration, the Cascade SMS module allows you to quickly add or remove keywords, actions, contacts and groups as required. Providing a match or no match facility, you can control the outcome of this action if the Sender ID is known or not known. Reply to the originating Sender ID with a preset message, great for confirmation that the message has been received. Send to a specific number or numbers the original message, or a different message. The dynamic content builder allows you to control what is sent. The main function of the Cascade Solution, send a message out to all, or a specific group of contacts within the Cascade Contact List. Insert the inbound message into an email, along with the sender ID, time etc and forward it via email. Integrate your IT systems with Cascade SMS to build an extremely powerful solution. If the SMS Sender wishes to be removed, setup a specific keyword and use this to unsubscribe etc. For the rare occasions where you do not wish to reply, or for inactive keywords which you simply want to monitor for any activity, do nothing can be used. Messages will simply be stored on the platform for future reference. 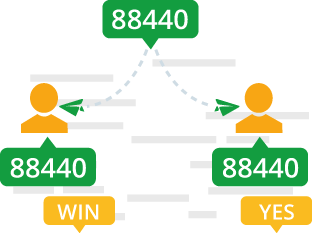 This will give you the flexibility of having as many, or as few, keywords as you require, without the limitation of a shared inbound number where keywords may have already been taken by another customer. The Cascade Contact list holds all the mobile numbers which you wish to use within the Cascade module. The numbers then can be assigned to one or more group configurations, which can then be harnessed with the keywords to create an extremely powerful SMS solution. Each number can be easily added to one or many groups very easily in several different ways. Either when uploading the contact list, by manually selecting the contacts and adding them to a group, or individually managing each number. Removing a contact from a group is also extremely easy and this is all explained in more detail later in the document. 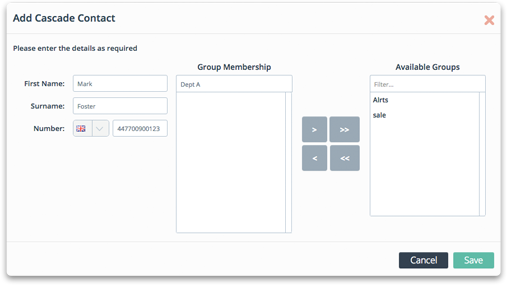 TIP: Each contact can be assigned to one or many groups allowing you to build the group membership as you require. you would like to utilise the Cascade SMS solution, please contact your account manager who will be happy to discuss your requirements and enable this feature along with assigning a long or shortcode number depending upon your requirements.